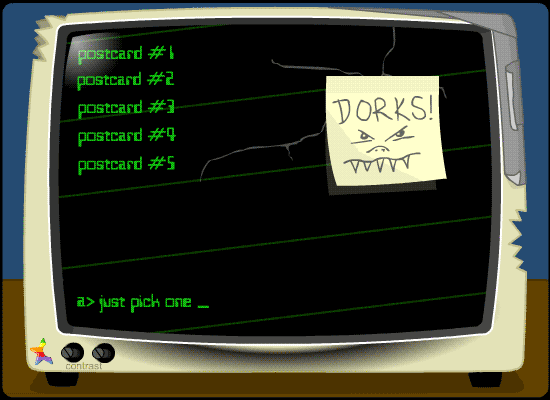 Strong Bad Email : "vacation"
W00t, SB takes a vacation and sends us back some postcards. Postcard #3 - The clock actually shows the current time on your computer! Gent told me I've confused the clock with the VCR from "12:00" , whoops!